In the archaeological excavations of the Israel Antiquities Authority in the Givʽati Parking Lot at the City of David, in the Jerusalem Walls National Park. According to researchers, “This is one of the earliest examples of the appearance of chalk vessels in Jerusalem. In the past, these vessels were widely used mainly by Jews because they ensured ritual purity”. Who was “Hyrcanus” whose name is engraved in Hebrew on a stone bowl from Jerusalem 2,100 years ago? In 2015 a fragment of a bowl fashioned from chalk (a type of limestone) was unearthed in the Israel Antiquities Authority archaeological excavation in the Givʽati parking lot at the City of David, in the Jerusalem Walls National Park. The vessel was published today and immediately aroused the curiosity of researchers. 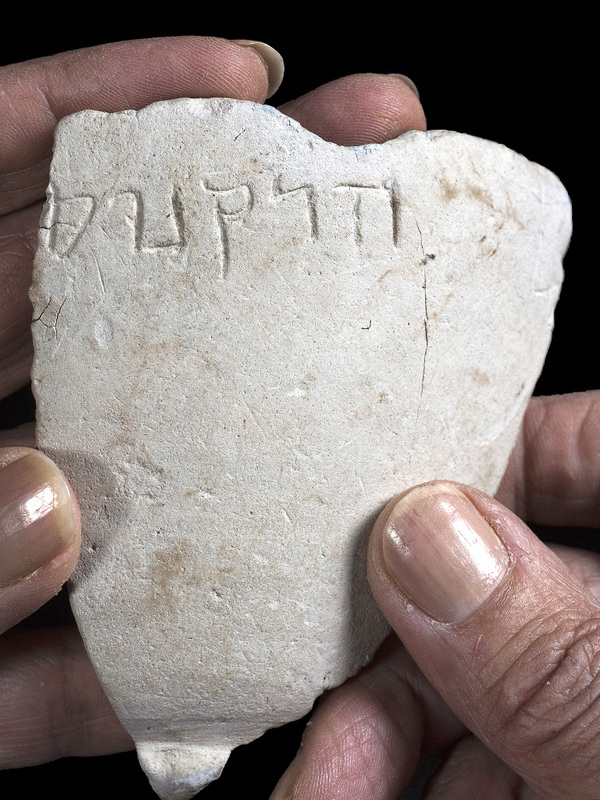 According to Dr. Doron Ben-Ami of the Israel Antiquities Authority and Professor Esther Eshel of Bar-Ilan University, “This is one of the earliest examples of chalk vessels to appear in Jerusalem. These stone vessels were extensively used by Jews because they were considered vessels that cannot become ritually unclean”. The bowl was discovered during an archaeological excavation beneath the foundations of a miqwe dating to the Hasmonean period, which was part of a complex of water installations that were used for ritual bathing. 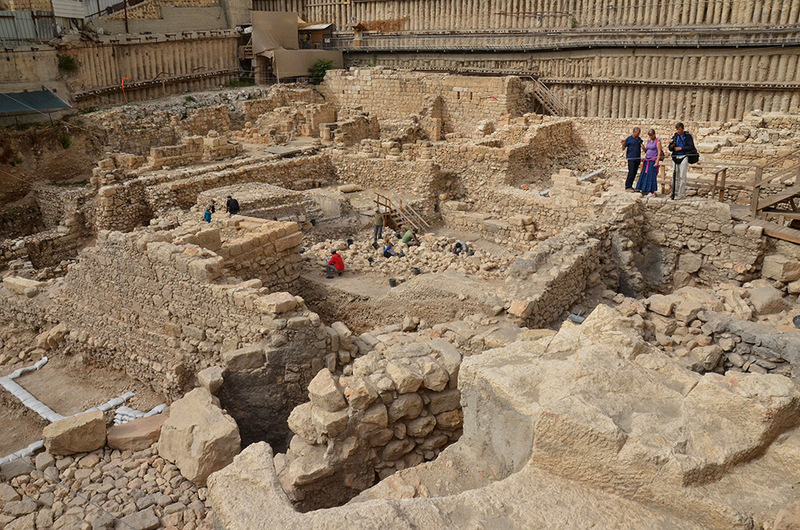 The Givʽati parking site in the City of David is among the largest excavation areas opened so far in Jerusalem. The excavations at the site, sponsored by the ʽIr David Foundation, have so far uncovered a wealth of artifacts from different periods. Of these, those that arouse special interest are the objects with traces of writing on them, especially when they can be deciphered and read. A fragment of the chalk bowl from the Hasmonean period, which is engraved with the name “Hyrcanus”. Photo credit: Clara Amit, Israel Antiquities Authority. Was Hyrcanus, whose name is engraved on the bowl, a high-ranking person, or perhaps simply an ordinary citizen during the Hasmonean period? According to the researchers, it is difficult to ascertain. Since there are few vessels in the archaeological record of this period which are engraved with names, it is not known whether this type of engraving was a routine act or a special tribute. “The name Hyrcanus was fairly common in the Hasmonean period,” say Dr. Ben-Ami and Prof. Eshel. “We know of two personages from this period who had this name: John Hyrcanus, who was the grandson of Matityahu the Hasmonean and ruled Judea from 135–104 BCE, and John Hyrcanus II, who was the son of Alexander Jannaeus and Salome Alexandra; however, it is not possible to determine if the bowl belonged specifically to either of them”. About a year ago remains of the Greek (Seleucid) Akra were exposed in the Givʽati parking lot at the City of David. This was the famous fortress built by Antiochus IV Epiphanes in order to control the city and monitor the activity in the Temple, which was eventually conquered by the Hasmoneans. Interestingly, the bowl was found a short distance from where the remains of the Akra were revealed. The Givati Parking Lot excavation. Photo: Asaf Peretz. Courtesy of the Israel Antiquities Authority. This entry was posted in Archaeology, Bible Places, Israel, Photography, Travel and tagged Between the Testaments, Hasmonean Period. Bookmark the permalink.